Let’s face it, when financial institutions throw out retirement speak, most people instinctively tune out. That is…Unless Voya is doing the talking. Earlier this year, we launched a series of videos to help better explain the basics of retirement. We set up an Orange-Aid stand and hidden cameras, then let Savannah – an 11-year old and our trained retirement expert – handle the rest. We posted the videos to social and people loved them. The response proved that demystifying big retirement terms was something the audience wanted to see more of. People were starting to get comfortable with planning for the future and we wanted to keep that trend going. 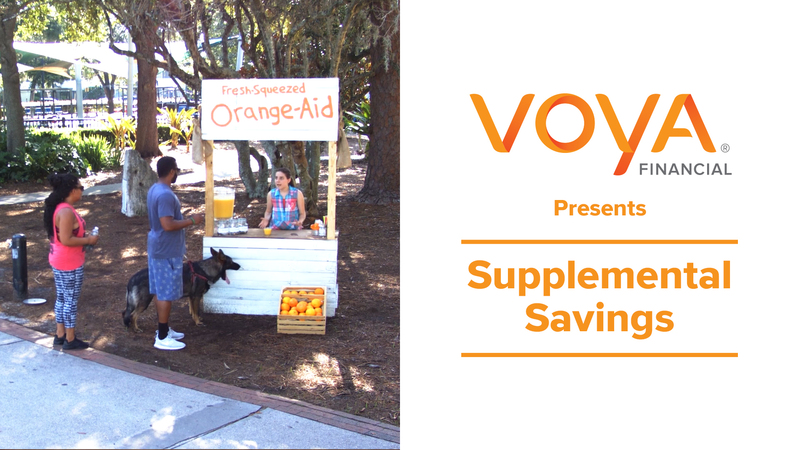 So, we sent Savannah and her Orange-Aid stand out once again to educate people on some of the most complicated retirement terms out there. Ultimately, we proved that anyone – even an 11-year-old girl selling orange juice – can learn how to properly plan for their future. A total of six new videos will be rolled out over the next month, covering topics ranging from Life Insurance to Annuities.